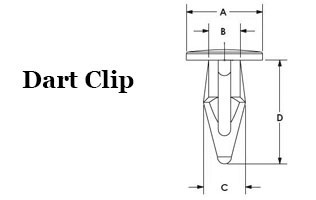 Dart Clips are similar to Arrow Clips. They provide a fast and inexpensive way to assemble materials. 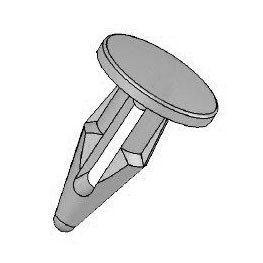 When pushed through a pre-drilled or punched hole, the body of the dart clip compresses and decompresses to lock securely in place. s. They can also be used in various blind hole applications for added versatility.